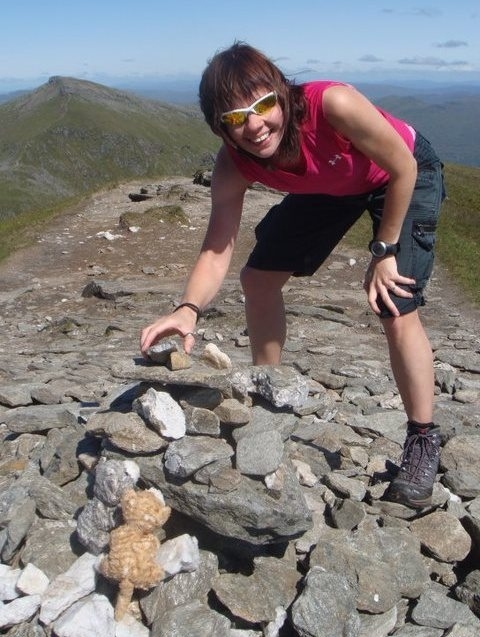 I’m a happy, fun, positive and energetic person and this blog is about the exercise I do in order to train for events and keep fit and stay sane. I live in Glasgow Scotland, work full time at the BBC and work part time for Glasgow City Council (Glasgow Life) as a Lead Swimming Teacher. For more see Who is Lorn? I work at Bellahouston Leisure Centre and teach swimming one afternoon a week, 40 weeks a year. I’ve done this now for over 10 years now and I love seeing children and adults progress to being able to swim. 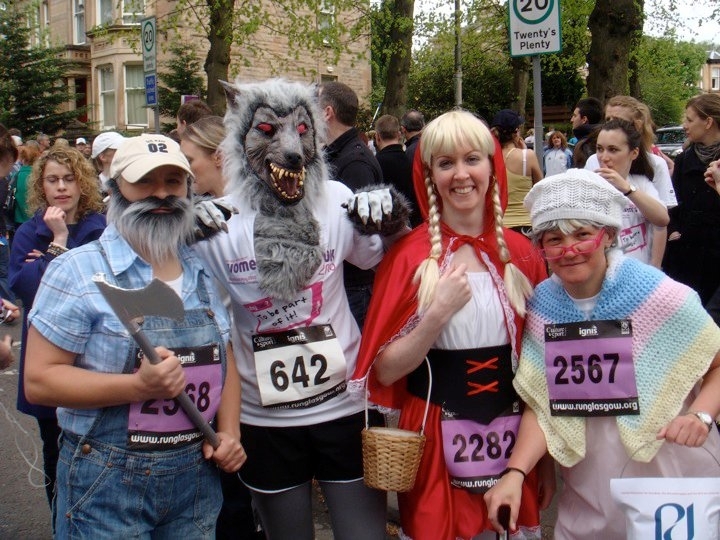 In 2009 I completed my first Triathlon (Wick Sprint – where I raised over £1,300 for Leukeamia Care), 10k event, half marathon and Munro and in 2010 I went on to complete a 10k event (injured: dressed as a Wolf!! where we raised £470 for Parkinsons), The Mighty Deerstalker (almost the worst experience of my life I think), 2 half marathons, 4 Munros and ran a Marathon distance (up Loch Lomond). 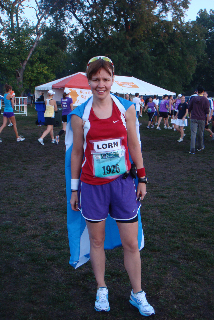 I like to have fun and ran the Glasgow Half Marathon in 2010 and Halloween Spinfit dressed as Supergirl. After that I decided I’d enter the Clyde Stride 40 mile ultramaraton, however I had to pull out due to injury. I’d done lots of long run training in preparation including a marathon distance from Glasgow to Greenock, and a 31 mile run (where I aggravated an old IT band injury, 16 miles in – and continued to the end, ouch!). 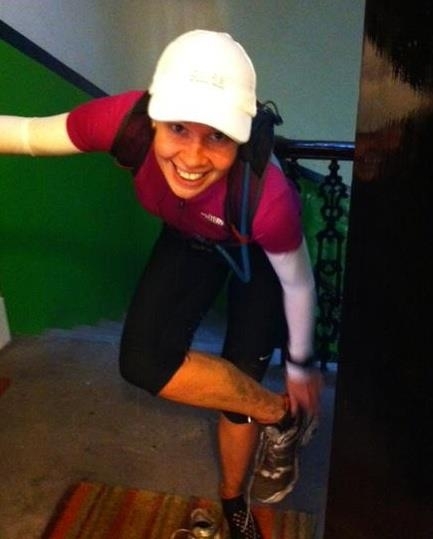 I learned a lot and am now considering dipping my toe(s) into the ultramarathon world to see if I like it! 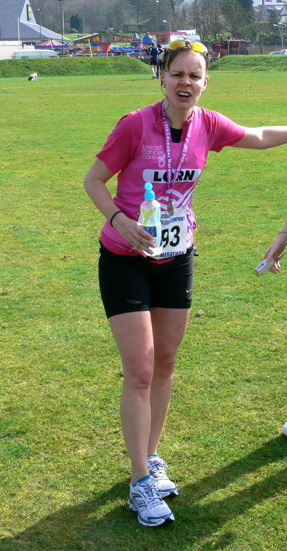 And in March 2012 I ran the D33… a 33 mile Ultramarathon along the river Dee. I really love running, and I’d like to take my experience and positive, fun attitude to others so that I can maybe inspire and help them to take up running and enjoy it as much as I do. 🙂 See my Lorn Pearson Running Coach page here. I’m keen to help others be the best they can be and I know I have the knowledge and experience to help you achieve your goals. I also love teaching swimming and I love to run, swim, cycle, hike, spin as well as doing strength work about 1-2 times a week (gym work / circuits / Insanity DVD workout). Oh and I sometimes play basketball at Tollcross with the Tollcross Ladies Recreational Basketball – but I’ve been scared off a little I fell badly and hurt my ankle. Feel free to go along and join in though – Thursday nights 8pm (check it’s not in the middle of a refurb though!) Like their Facebook page for more info. I hope you enjoy this blog, and please leave comments if you want.